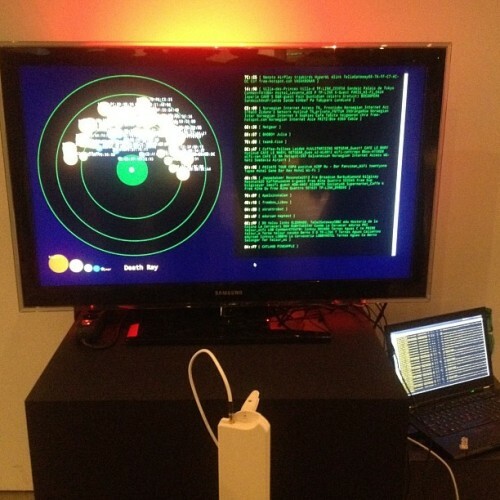 The project is based on the possibility to pick up wifi-probe requests. The requests are messages sent by wifi-devices to see if they are close to some network that they have been connected to previously. For instance your phone regularly broadcasts the SSID of your home network, your work network and some other random networks that you have been using in the past. We built a directional 2.4Ghz wifi antenna and mounted it on a tripod with a motor to rotate it. The antenna scans the surroundings continuously to identify devices and pick up all their probe requests. 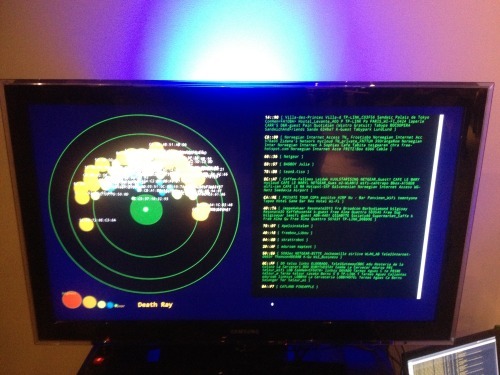 This data you unknowingly are sharing is then visualized on a radar screen.